‘Forest Floor Garden’ is the newest addition to Sandy’s half day workshops and having her at Blacksmiths Shop Crafts is always a joy! 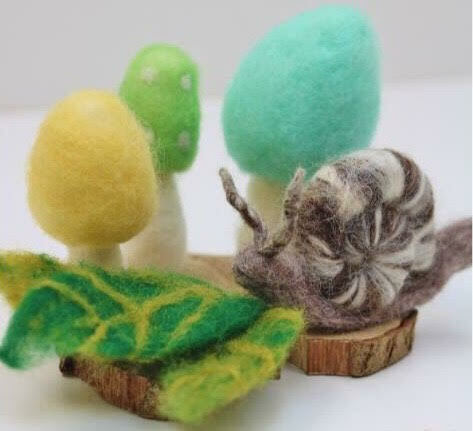 As well as teaching you the basics of needle felting she will also be teaching new needle felting techniques and, introducing new wool to create dramatic effect. At the end of the afternoon you will have created a beautiful forest garden to take home with you as well as a new set of creative skills. All you need bring is the enthusiasm and Sandy will provide the rest. Please note; spaces are limited for these popular workshops so please book well in advance!